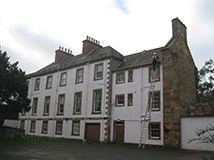 Edinburgh Roofing Services are a professional company with skilled tradesmen and cover the whole of Scotland. 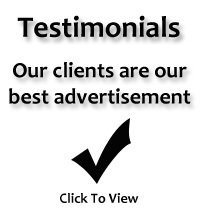 We provide a reliable service with competitive rates and are fully insured to cover any contract large or small. When you are looking for a roofing contractor it is highly recommended that you choose one of Edinburgh's leading roofing contractors. 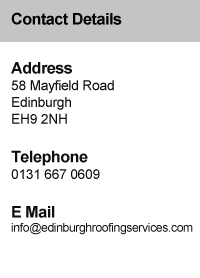 We can offer you a customer portfolio to assure you that Edinburgh Roofing Services have the necessary skills and experience which are backed by insurance guarantees to carry out the work you require. All Tiling Work - We are expert tile roofing contractors with all the skills, expertise and knowledge needed for all tile roofs. Our projects include tiling and retiling properties using plain, profiled and interlocking tiles by leading manufacturers. Industrial & Commercial - Edinburgh Roofing Services are highly skilled and experienced to carry out all industrial and commercial roofing projects. Please contact us with your requirements. Roof Light Replacement - Let us transform your dimly lit premises into a brighter healthier environment by cleaning or changing you existing roof lights or skylights. 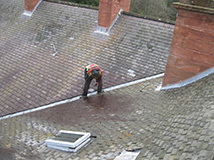 We can often carry out roof light replacement or cleaning safely while work continues below with minimal disruption. Fascia & Guttering - Think of the time and money you can save on painting your property, or repairing / replacing rotting fascias / soffits. This can all be a thing of the past if you replace your fascias, soffits, barge board, guttering or cladding with low maintenance PVC-U building products. 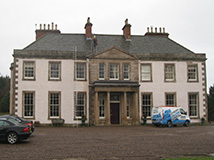 Emergency Roofing &Storm Damage Repairs - Edinburgh Roofing Services are Edinburgh's leading roofing contractor who provide a call out service for storm damage. If your roof has been damaged by storms, accident or any other incident we will install temporary protection to your property to prevent further damage or loss to ensure safety. We will also carry out a detailed assessment of work needed to repair or restore your roof and will carry out permanent repairs or restoration work. Insurance Claims - We welcome all types of insurance work and can help you with insurance claims. For further information and advice on all of our services, please contact us.